5 Key Reasons You Should Choose Us for your Massage CEU Needs. We have the largest and widest selection of massage CEU courses to expand your knowledge and fit your massage therapy continuing education needs and budget. You can choose to receive your course materials as physical books, CDs, DVDs or totally online. We have over 95 completely online massage therapy courses that you can access immediately, take your test, get your results and receive your certificate instantly. 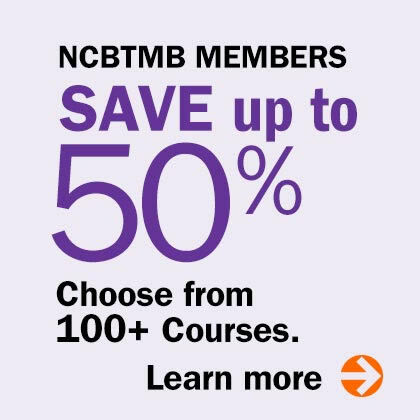 Our massage therapy CEU courses are accepted by the NCBTMB, AMTA, ABMP and most state massage boards. Our course advisors constantly research and contact these organizations and state boards to ensure you receive the ost up-to-date information regarding board and state requirements and how we can help you meet your individual massage therapy continuing education requirements. 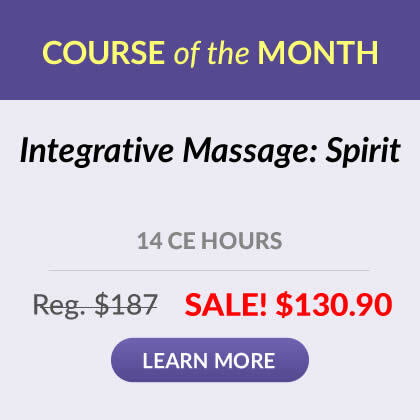 With over 192,000 Massage CE course reviews and counting, we have more massage therapists taking our courses than any other massage therapy continuing education provider. They have given us an overall rating of 4.4 out of 5. And these are from massage therapists who have actually taken our courses. Each course rating is based on 7 key components: 1.Was the material clear and to the point. 2. Was content interesting. 3 Did you gain knowledge. 4. Did materials hold your attention. 5.Can you use the information in your practice. 6. Did the course meet your expectations. 7. Your overall rating of course. Our course advisors are available by phone, chat or email Monday through Friday, from 9am - 5pm (eastern time zone) to answer any questions you have about board or state massage CEU requirements, provide course recommendations, help you track down a course transcript, or even assist you in obtaining a certificate for a course you took back in 1999... that's right; we keep everything. If you reach us after hours, you are guaranteed to be contacted on the next business day. Our customer service has a 99.97% customer satisfaction rating. We want you to be 100% satisfied with your massage therapy course purchase. If not, we'll cheerfully replace it, exchange it, send you a refund or credit your account for unused merchandise within 90 days of purchase.